Former DigitalRev TV host, Kaiman Wong, is back with another fun photography video. This time Kai and his friend, Rita, take to the streets of Hong Kong for an impromptu photo challenge. Being in the holiday spirit, they each gifted each other cameras. Kai gifted Rita a Lomo Instax Wide Camera and Rita gifted Kai a Hello Kitty version of the Instax Mini camera. Hitting the pavement, the two take their new cameras out for some street shooting; hilarity quickly ensues. 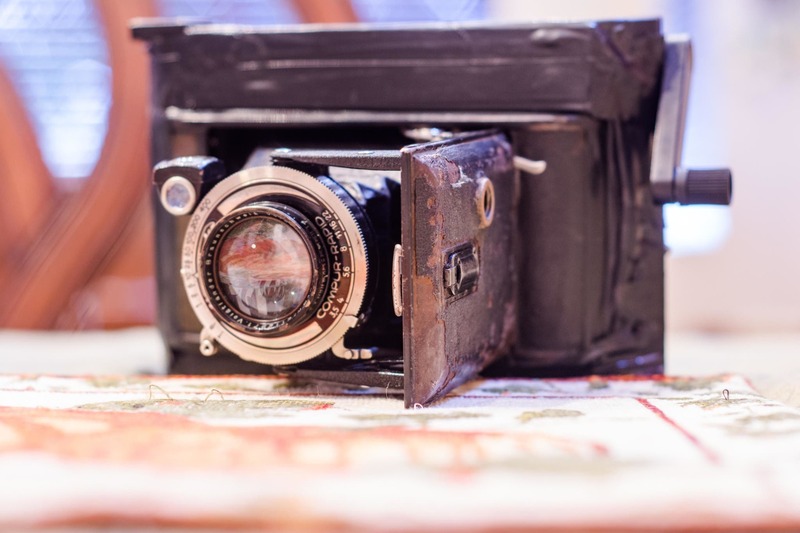 The original plan was for Kai and Rita to pick up more traditional film cameras. However, after looking at the selection at one of the local camera shops, all of the good options were out of their price range. Thinking of something more fun (and affordable), they ended up getting each other Instax film compatible cameras. However, their journey hit another speed bump when they found that many of stores sold the cameras, but no one sold the film. Such is life as a film photographer! From there it was into the streets of Hong Kong to shoot. 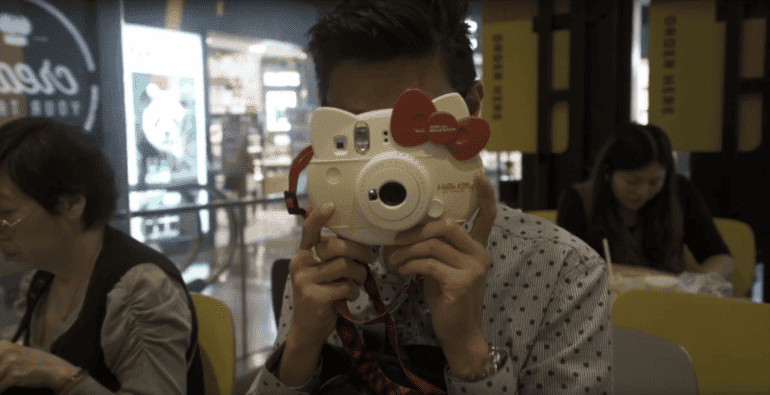 Kai remarks on the usability of the camera as well as image quality of the Instax film. The monochrome film got his recommendation, especially for those artsy street photography shots. The color film he was more lukewarm with in his approval, simply stating the colors were good. 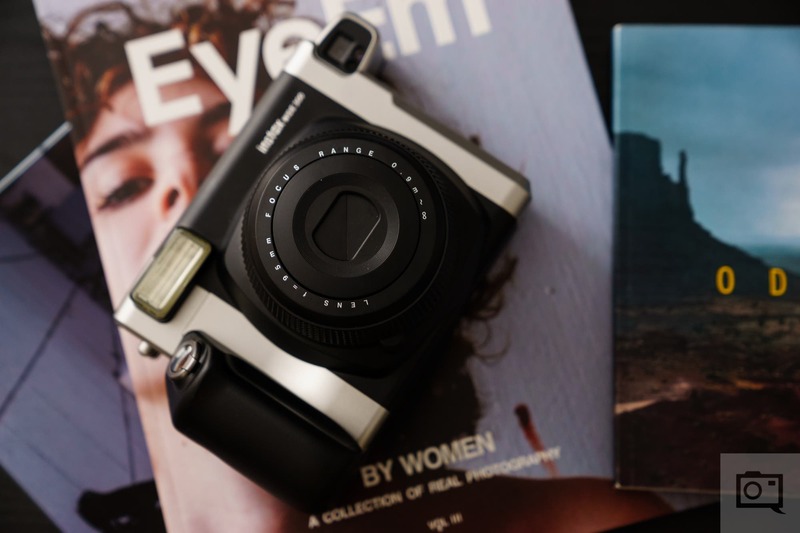 While using an instant camera is generally an easy process, Kai did find it challenging giving the technical considerations of the format. The film speed he was using was rated at ISO 800, while the “Hello Kitty Cam’s” lens had a maximum aperture of f/12.7, negating any shallow depth-of-field opportunities. Rita’s Instax Wide camera was much better suited for portraits and allowed a shallower depth-of-field over the Instax Mini. Overall the two look like they had a fun time experimenting with instant film and learning to accept it’s limitations. I’ve played with the Fuji Instax Wide cameras quite a bit and love the quality of the images. They give me that nostalgic feeling that reminds me of my childhood when I used to play with my parents’ old Polaroid cameras. However, I’ve never really considered using them for street photography. Watching the video gave me some ideas, and now I see a whole new realm of possibilities for the format. Whether it be day or night, I’m sure the images would be striking giving the crisp flash and saturated colors. Not to mention shooting with instant film is fun! In spite of the humor in his delivery, Kai didn’t fail to leave viewers without a little gem of a quote near the end. Kai states, “In the end, it didn’t matter that it cost $1 a pop. We just kept shooting and shooting. And enjoying the process of taking photos. It’s refreshing being creative without worrying if the images live up to the badge on the front of the camera.” Well said. To see more videos like these, check out Kai’s Youtube channel here. 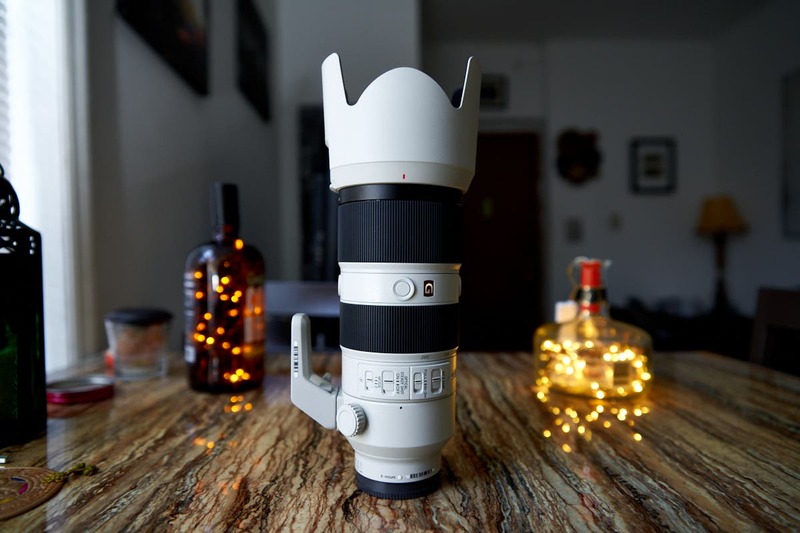 Our Sony 70-200mm f2.8 OSS G Master Lens Review is Complete!